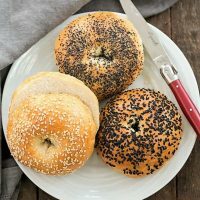 Dense, chewy Homemade Bagels sprinkled with seeds make for a marvelous breakfast or brunch treat. 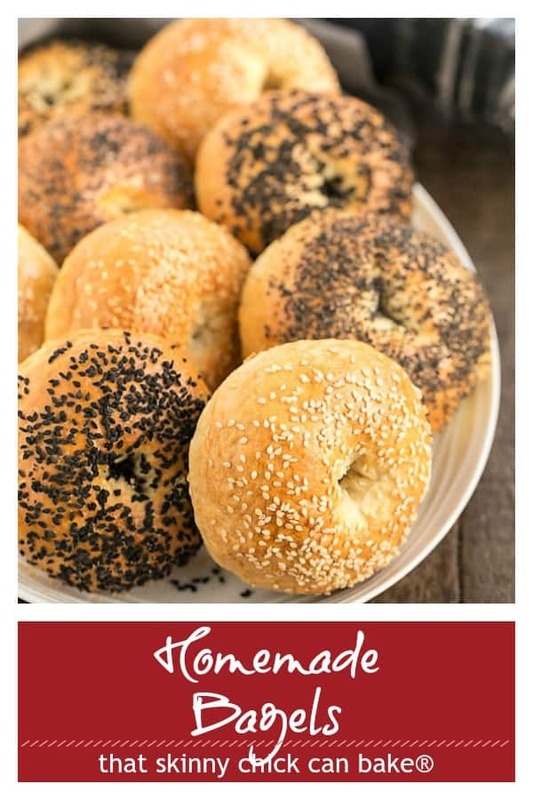 Making bagels from scratch will make you feel like an accomplished baker, plus your house will have a most enchanting aroma as these bake up in your oven! The last time I took the time to make these homemade bagels was in 2012. The dough recipe was easy enough, but by the time all was said and done, the kitchen was a disaster with many dirty baking sheets, bowls, utensils, counters and tea towels. But when absolutely everyone who tasted the final result raved about them, I realized it’s worth the mess. Back then, I was cooking along with a lovely group of bloggers who were baking from one of Dorie Greenspan’s cookbooks, Baking with Julia. 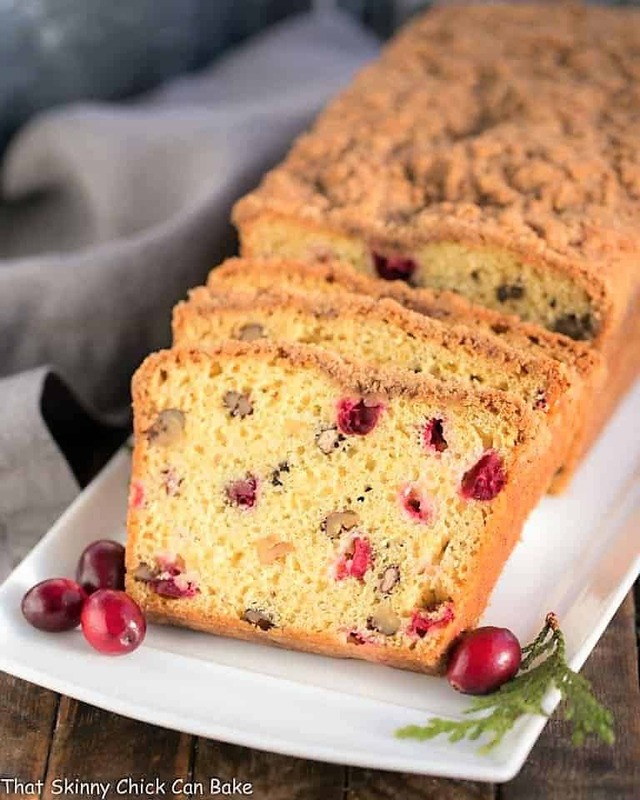 The recipes in this tome are from the best of the best of American bakers. Contributing baker, Lauren Groveman, provided this recipe and technique for making these terrific bagels from scratch. My New York raised friend and a few others were over to visit one Friday morning. She did mention that I was missing the New York City water that some say make New York bagels impossible to replicate. For Indiana, these were darn tasty! Here are some tips for making these soft and chewy homemade bagels. 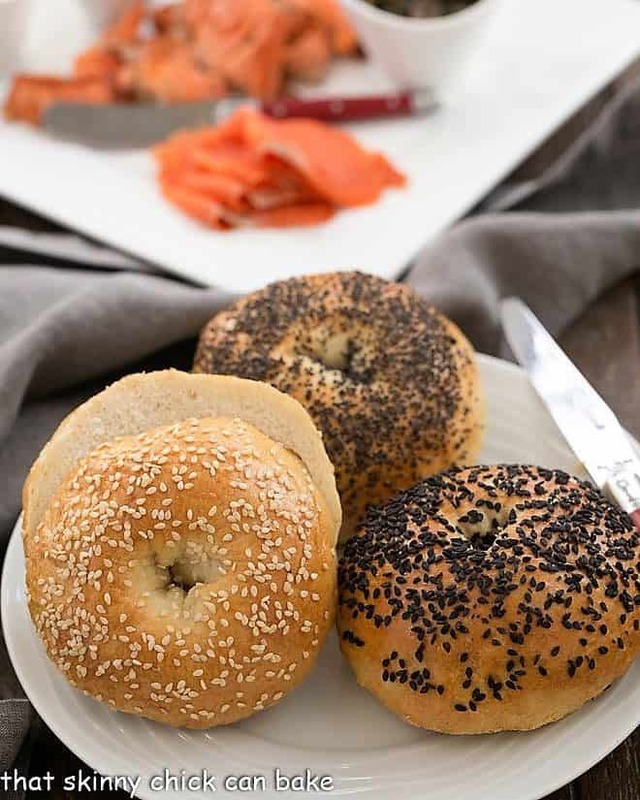 Though you can use all purpose flour, bread flour or another high-gluten flour will provide a better texture for your bagels. High gluten flour is what many pizzerias use for their pizza dough, so if you have a local restaurant that you frequent, they might sell you some. Make sure your yeast is fresh. Check the date on the package before you start. 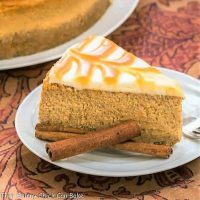 When you mix the yeast with the water and sugar, it should get creamy (warm water will cause the yeast to have a more obvious reaction, but this recipe calls for tepid water). Tepid water is about 105 degrees F., slightly warmer than body temperature. Most yeast breads use water that’s 110-120 degrees. After all the work of making, shaping and baking the bread, you definitely want yeast that’s at 100% of it’s capacity. 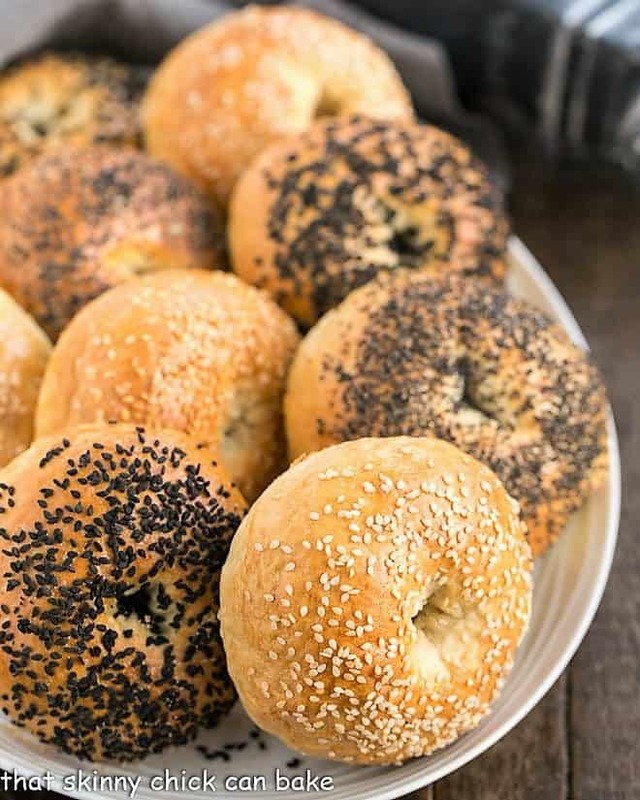 An egg white wash gives your bagels a nice sheen, plus it is the glue to help your seed toppings stick. I’m a sesame seed bagel fan, so that’s my first choice. You can also purchase black sesame seeds at retailers like Penzey’s. Poppy seeds and Everything Bagel Topping are also quite popular toppings. I like using my KitchenAid stand mixer, fit with the dough hook, to knead the dough. I have the 7 quart mixer with the biggest motor available. If you use a smaller sized mixer (and I bet almost all of you will), make sure to feel the motor as it kneads as it could easily overheat. Stop and let the motor cool down if it starts feeling hot or you smell the the motor overheating. Alternatively, you can knead by hand, which can be very therapeutic. Use the heals of your hands to press the dough, then fold the dough in half and press again. Repeat over and over until the dough is smooth and elastic. You’re activating the gluten. Kneading always reminds me of my mom who practiced kneading on her grandmother’s fleshy arm when she was a child! I used my kitchen scale to divvy up my bagel dough. They each ended up weighing approximately 150 grams. Consistent sizes helps them all finish baking at the same time. Keeping the dough balls under a towel prevents them from drying out when shaping another bagel. The first goal is to get your dough into a round, tightly packed ball. This is attained by drawing the dough up from the bottom, stretching and pinching it at the top. Repeat this process of pulling the dough up and pinching until your have a round ball with a little knot at the top. Next you poke your index finger through that knot and out the other side, making the bagel hole. You’ll need to stretch the hole to a width of 2-2 1/2 inches as the space will reduce during the boiling and baking process. 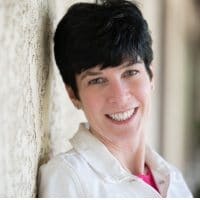 Lauren Groveman describes this process as follows: Wiggle your finger around in the hole to stretch it, then lift the bagel, hook it over the thumb of one hand and the index finger of the other, and start rotating the dough, circling your thumb and finger to elongate the dough. Why Do You Boil Bagels Before Baking? Boiling bagels helps create the classic thick and chewy crust. The longer you boil, the thicker the crust. 30-60 seconds per side ends up being the optimal time as you don’t want the crust too thick. This process also sets the size of the bagels as the boiling process gels the starch granules, stiffens the exterior which then prevents any further expansion in the oven. Without anymore rise, the resulting homemade bagels have the classic dense texture. 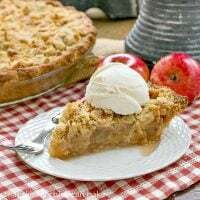 Usually, barley malt or lye is added to the water as both help brown the crust and add flavor. Baking soda is often substituted for lye. Sugar, honey and/or malt are other common additives, also helping with browning in the oven and the distinctive bagel taste. This was no quick recipe…in fact, the instructions took up three full pages in the cookbook. The second rise of the dough was another overnight stint for the best flavor development, then add in the shaping, boiling and baking. I had two baking sheets covered in parchment and corn meal, one with a kitchen towel, and another with a kitchen towel with a heavy coating of flour. My dough rose beautifully (whew), and my only trepidation arose after pulling lumpy looking dough out of the water bath. No need to worry, though, as these bagels baked up smooth with a gorgeous sheen from the egg wash. The instructions were right on about making large 2-2 1/2 inch holes so that they would be visible after baking. Mine kept shrinking back on themselves so most just had a little dimple. No big deal; they tasted incredible and I was quite pleased! And my family devoured these wonderful bagels from scratch. Serve your bagels with cream cheese or even butter and jam. I like making my own cured salmon like this Dilled Gravlax, then making a smoked salmon platter. But store bought is fabulous, too. If you’re interested in a Whole Wheat Bagel recipe, my family loved these gems that I made in 2012! Bagel shop quality bagels you can make in your own kitchen! Brush the side of a large bowl with some of the melted butter; set aside. Reserve the rest of the melted butter for the top of the dough. Whisk the yeast into 1/4 cup of the tepid water in the mixer’s bowl. Add a pinch of sugar and let the mixture rest until the yeast has dissolved and is creamy. Fit the stand mixer with the dough hook and add the remaining 2 cups of water and the shortening to the bowl. Add the yeast mixture along with 2 tablespoons sugar, and the salt. Mix on low to blend. 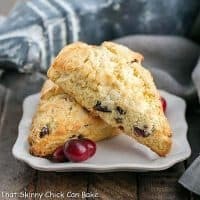 With the machine still on low, gradually add 5-1/2 to 6 cups of the flour, mixing for 2 to 3 minutes, or until the ingredients are blended. 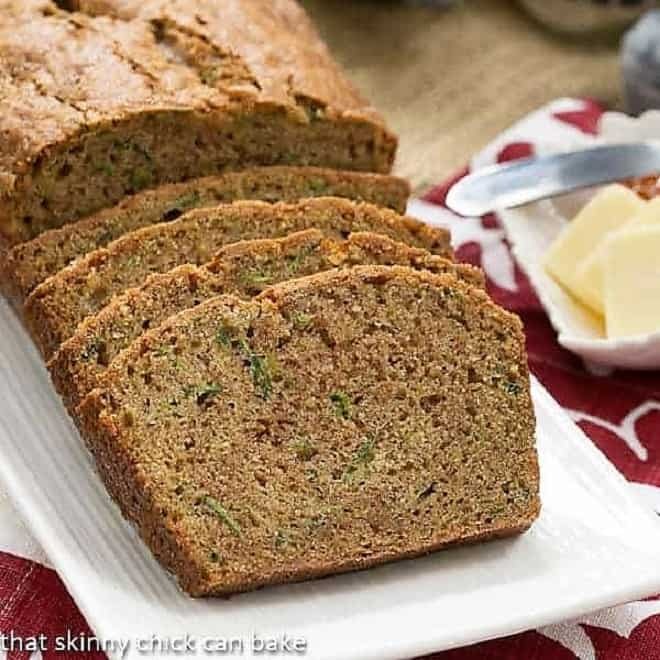 Increase the mixer speed to medium and knead for about 6 minutes, adding additional flour by the tablespoon until the dough is smooth and elastic. Transfer the dough to the buttered mixing bowl. Brush the top of the dough with a little melted butter, cover the bowl with buttered plastic wrap, and top with a kitchen towel. Let the dough rise at room temperature for about 1 hour, or until it doubles in bulk. Deflate the dough, cover as before, and refrigerate for 4 hours, or up to 2 days. 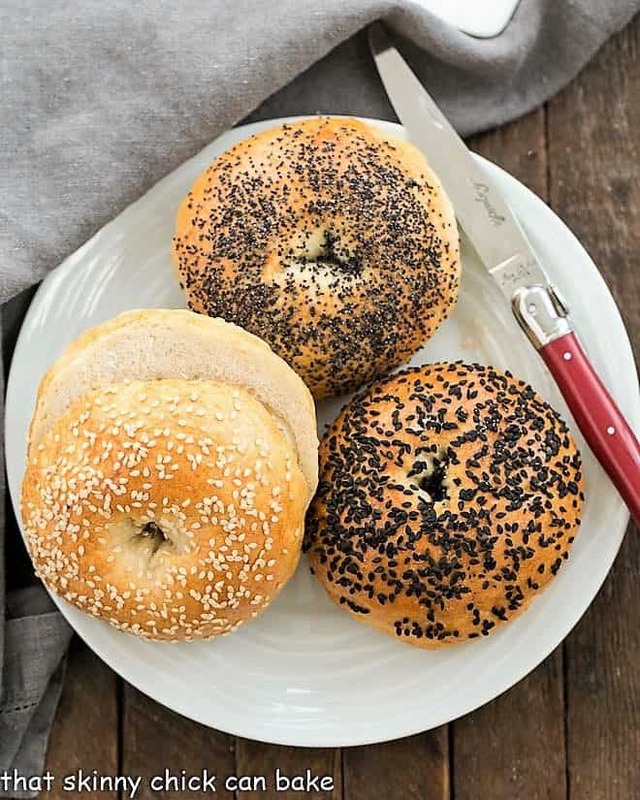 When you’re ready to make the bagels, place an oven rack in the lower third of the oven and preheat the oven to 500° F. Spray two rimmed baking sheets with non-stick cooking spray and dust with cornmeal. While the oven preheats, fill a large pot with water and bring the water to a rapid boil. Line 2 baking sheets with kitchen towels, and rub flour onto the surface of one. Deflate the dough and place it on a lightly floured work surface. Divide the dough in half; cover and chill one piece of the dough while you work with the other. Cut the dough into 5 equal pieces, covering them with a towel, removing one at a time to shape. Take one of the dough pieces and draw up the dough from the bottom, stretch it, and pinch it at the top. Keep pulling the dough up and pinching it until you have a perfectly round, tightly packed ball of dough with a little topknot or pleat at the top. Turn the dough over so that the knot is against the work surface and push your index finger into the center of the dough. Wiggle your finger around the hole to stretch it, then start rotating the dough, opening the hole to a diameter of 2 to 2-1/2 inches. The hole should look much larger than what you’d expect from a baked bagel. Put the bagel on the baking sheet with the floured towel, and cover with another towel. Shape the remaining 4 pieces of dough into bagels. (Keep the other half of the dough in the refrigerator for now). Add the sugar and baking soda to the boiling water. With a large slotted spoon or spatula, lower the bagels, one at a time, into the boiling water. Do not overcrowd, they should have space between them. The bagels will sink, then rise to the top after about a minute. Once the bagels have surfaced, boil for about 1 minute on each side, carefully flipping them over with the spoon. 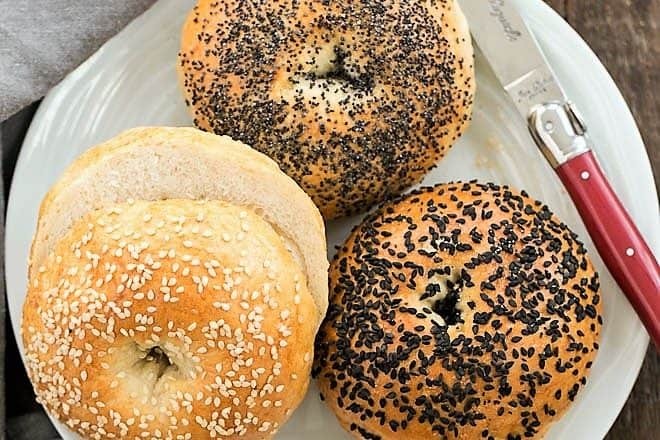 Remove the bagels, letting the excess water drip through the spoon, and put them on the baking sheet with the unfloured towel, with the smoothest side of the bagel up. Keep the water in the pot for the next batch. Once they’re all on the towel, start moving them to the cornmeal covered baking sheet, keeping the smoothest sides up, transfer the bagels to the prepared baking sheet. The bagels will stick to the towel if you wait too long. Whisk the egg whites and water together until the whites are broken up and brush each bagel with the glaze. Brush with another coat of glaze and, if you’re using a topping, or more than one, sprinkle it, or them, evenly over the bagels. Your bagels will not be smooth at this time, but will look much better after baked. Put 4 ice cubes in a 1-pint measuring cup and add 1/4 cup cold water. Put the bagels into the oven and immediately toss the ice cubes and water onto the oven floor . Quickly close the oven door, turn the oven temperature down to 450° F, and bake the bagels for 25 minutes. If you have a gas oven, you may need to put a pan in the bottom of the oven so you don’t put out the flame when you add the water. Turn off the oven and keep the bagels in the oven for 5 more minutes. Open the oven door and leave the bagels in the oven for another 5 minutes. Transfer the bagels to a rack and cool. Before baking the next batch of bagels, be certain to bring the oven temperature back to 500° F. Remember to lower the oven temperature when you put the last bagels in the oven. While the first batch of bagels is baking, cut and shape the remaining dough. Boil, glaze, and bake these bagels just as you did the first batch. Cooled bagels can be kept for 1 day in a paper bag. For longer storage, pack into airtight plastic bags and freeze for up to 1 month. Thaw, still wrapped, at room temperature. Adapted from Baking with Julia by Dorie Greenspan. This post was first shared in 2012. 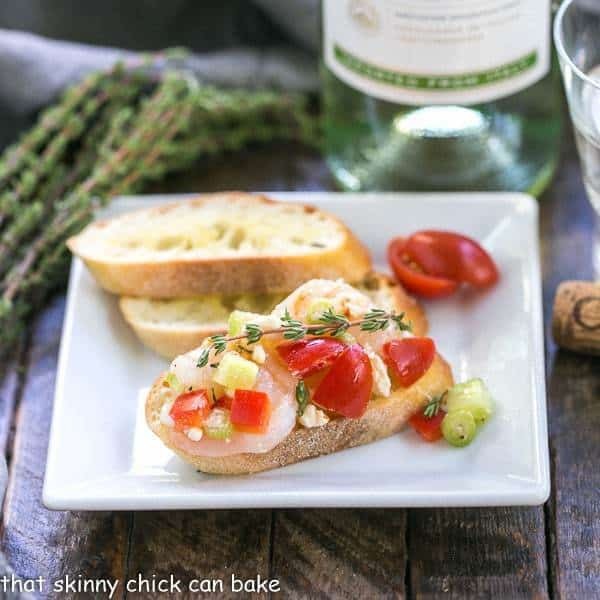 The text, recipe and photos were updated in 2019. These look bakery perfect, Liz! THese look amazing. Ive yet to make homemade bagels but look forward to trying them now. Thans for sharing these. They’re beauties!!! I only attempted bagels once in my life, and while they didn’t look impeccable they still tasted great. Those bad (good) guys look fantastic, and the crust is so lovely. Excellent job, Liz! Homemade bagels are the best! Thanks for the fabulous recipe and such great detail on making bagels! My very first time trying my hand in making bagels and it worked perfectly. Your tips were head on. Thanks for yet another amazing recipe. I saw your post on FB and immediately recalled our NY Bagel experience. We were staying at a Hotel in Manhatten (LES, I believe) that was attached to a hair place. We were hanging out in the lobby (waiting for friends) when a woman with a fresh bag of bagels comes in. The aroma was incredible. She spots us and darts over and quite excitedly asks if we’ve ever had a NY bagel? We said no, and she immediately pulled out a bagel and handed it to us. She chatted with us for a bit and left. We never saw her again. Your bagels look just as good and I just love that the hole is so small. Montreal bagels (a direct competitor to NY Bagels) has a huge hole, making it difficult for sandwiches. Your bagel would be absolutely perfect for sandwiches. PS Trader Joes also has an “Everything” topping in their spice section, it’s so good. Nothing better than a homemade bagel! My favorite breakfast. Very Impressive! We made them a couple of time at Culinary School and they never looked this good. 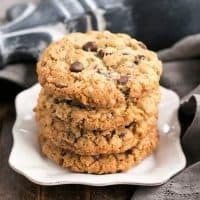 Chewy, fresh and oh so delicious! The boys are already on us to make these asap! Wishing you a super weekend. Just pinned to a few of our favorite boards. Wow Liz, I am impressed . Those bagels look gorgeous. This is perfect cooking project for the mountains. Pinned. Beautiful bagels Liz. I have made bialys many a time but still not bagels. I better hurry up and do this before Passover hits! 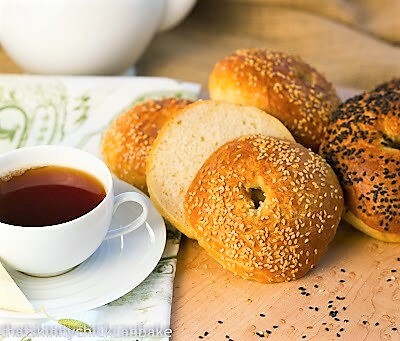 Bagels are the best, these look absolutely perfect!